The ATL was once referred to as the “Chicago of the South,” for its “new men, new industries, new buildings and new spirit.” That reference will ring true come November when the future of the metalforming industry is on display at FABTECH 2014. Atlanta rose from the ashes following its destruction during the Civil War to become a mecca of the New South. Amongst the city’s gleaming glass and steel towers you’ll find the 3.9-million-sq.-ft. Georgia World Congress Center, home of FABTECH 2014. With more than 13,000 hotel rooms within walking distance and more than 94,000 hotel rooms in the metro area, along with plenty of fine dining amongst thousands of restaurants, you’d be hard-pressed to find a better venue to house our industry’s leading tradeshow. So get ready for some great southern hospitality, beginning with a “How y’all doing” greeting at the show entrance, pack your walking shoes and prepare to be wowed with all of the new technology and knowledge ready for your consumption. The Georgia World Congress Center Authority is located in the heart of downtown Atlanta and includes the 3.9-million-sq.-ft. convention center, 71,250-seat Georgia Dome and 21-acre Centennial Olympic Park. The complex ranks among the top five largest convention destinations in the country, as well as one of the best sports and entertainment campuses in the world. Don’t miss the special outdoor meeting area connecting buildings B and C, dubbed by show organizers as FABTECH Blues Brews and BBQ. Be sure to stop there to take a break and refresh. 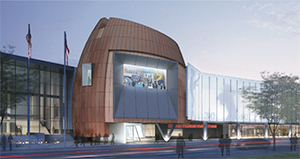 Wednesday evening, November 12, from 5:30 to 7:30, your FABTECH hosts invite attendees to be among the first to visit the College Football Hall of Fame, located adjacent to the Georgia World Congress Center. Advance tickets for FABTECH attendees are $50, which includes admission, cocktails and hors d’oeuvres. (Tickets are $75 if purchased after November 7). Learn more and register to attend at www.fabtechexpo.com/industrynight. In addition to the 1400-plus booths and more than 100 education sessions that comprise FABTECH, attendees are invited to attend several special events. The first such event occurs Tuesday morning, November 11, from 9:00 to 10:00—a presentation by Cindy Marsiglio, vice president, U.S. manufacturing for Walmart. Her talk, Creating U.S. Jobs and Bringing Manufacturing Home, focuses on the need to “rebuild the middle class and provide customers with the best possible prices and quality.” That’s a theme that should ring true for all FABTECH attendees. Atlanta boasts thousands of chef-run restaurants that dish up modern American cuisine in beautiful spaces. Among them are cozy diners, cafés and bistros. The city boasts more than 700 Zagat-rated restaurants, and in the past five years 45 Atlanta chefs have been nominated as semifinalists for the James Beard Awards. Don’t miss out on the ethnic mom-and-pop restaurants along Buford Highway, and the Buckhead neighborhood that blends boutiques and galleries with fabulous dining. 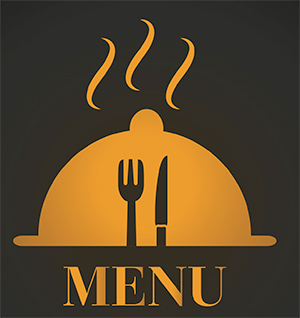 Looking for traditional down-home Southern cuisine? Check out Mary Mac’s Tea Room and Pitty Pat’s Porch. And for more upscale Southern fare, head over to Paschal’s for fried chicken. Later that day, a panel discussion addresses Bridging the Manufacturing Skills Gap with Veterans. It’s slated for Tuesday afternoon, from 12:30-1:30, and will be moderated by Epicor vice president of global talent Shane Hicks. Panelists are Michael J. Aroney, Allied Reliability Group; Joseph C. Barto III, president, TMG, Inc.; Steve Nowlan, president and CEO, Center for America; and Hernan Luis y Prado, president, Workshop for Warriors. Wednesday’s festivities get underway with an inspirational talk by former Pittsburgh Steeler running back Rocky Bleier. The Vietnam War veteran will establish parallels to the challenges he has faced during his life to the challenges all businesses face, along the theme: Be the Best You Can Be. 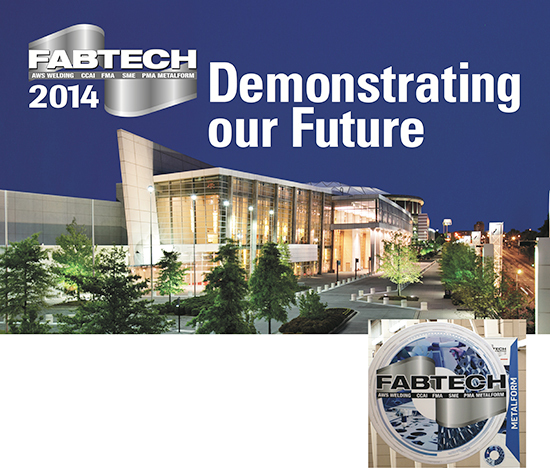 On Wednesday afternoon (12:30-1:30), FABTECH attendees can share in a panel discussion on the state of the industry. This executive outlook will address the question of whether the sector might be experiencing a renaissance or just an uptick. Moderated by Edwin Stanley, vice president of sales and finance, GH Metal Solutions, panelists are Todd Henry, operations manager, Caterpillar, Inc.; and Dave Whelan, SVP Supply Chain, Bluebird Corp. Finally, learn how the “Internet of things” will impact our sector during a keynote address by Mike Walton, head of manufacturing for Google Enterprise. Walton’s talk, Transforming Your Manufacturing Business for the New Digital Age, will focus on the need to accelerate new-product initiatives and time-to-profit, improve collaboration across departments and across the supply chain, and how to optimize operational efficiency. Visit FABTECH 2014 online at www.fabtechexpo.com for additional insights into the whirlwind of educational opportunities during the show. And, if you’re interested in following the activities on your mobile device, you can download the official FABTECH 2014 app, to enhance your show experience. Use it to search exhibitors, navigate the show floor, view and build your schedule and stay connected via social media. Features include a searchable exhibitor list agenda planner, schedule of sessions and events, real-time alerts and information about Atlanta, including dining options.